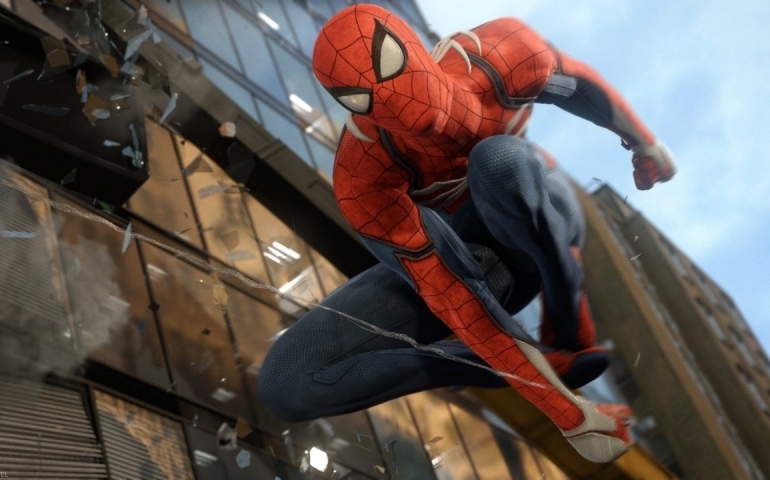 Sony Entertainment and Insomniac Games released their new Spider-Man video game earlier this month. The PlayStation exclusive has received rave reviews from critics and fans alike. The much-anticipated video game features our titular character in an impressive rendering of Manhattan Island. Prior to the game’s release, it was heavily hyped as the best superhero game ever made. Does it really live up to this status though? The character Peter Parker is introduced right out of the gate. It is revealed that this is an older Peter than fans are used to. He is already out of college and has been Spider-Man for at least 8 or so years. The main story has our hero face down such villains as the Rhino and Electro as they fight together to take over New York. Familiar faces are introduced as the game progresses, as well as a few original characters. The main story of the game is actually pretty short. It is a fully fleshed out and cinematic experience, but it would only take a few hours for someone to complete the campaign if that is all they focused on. Where the game gets most of its charm is all the side missions and collectibles. Like any open-world game, there are collectible items scattered around the map for the main character to collect. In this game, they are old backpacks that Peter left around the city while he was in high school. Each of these backpacks has interesting trinkets with backstories. Another side mission has you chase down and capture pigeons that one of Peter’s homeless friends lost around Manhattan. While each of these side missions does not seem to fit into the overarching story of the game, they fit well into Peter’s character. They are also a lot of fun. Easily the most entertaining part of the game is swinging through Midtown New York City and waving at random people on the street. There is even a feature called ‘photo mode’ where the player can freeze the screen at any point and apply filters to an image. One of the features in photo mode is the ability to make Peter take a selfie, which opens up some interesting possibilities. While the game is a lot of fun, some of the game’s features take away from the more intense moments. It is hard to take events in the game seriously when the combat itself was designed to be more entertaining than difficult. Also, most of the boss fights are combat scenarios that are easier than fighting street-level thugs. During the story, the game will cut to quick time events, which feels cheap, like a playable cutscene. This is standard for this type of fighting game, but paired with the underwhelming boss fights, it takes away any sense of peril. Overall, this game comes off as fun and carefree, even during the game’s most emotional moments. Even with the fantastic voice acting talent paired with the well-written storyline, it becomes hard to really connect with the main character due to the game’s fast-paced nature. Sony’s Spider-Man has the atmosphere of a superhero movie. While it may never actually make you feel anything, it is a lot of fun to play, and it never gets too heavy. I would recommend this game if you ever want to relieve stress by webbing up criminals, and of course, if you own a PlayStation 4.